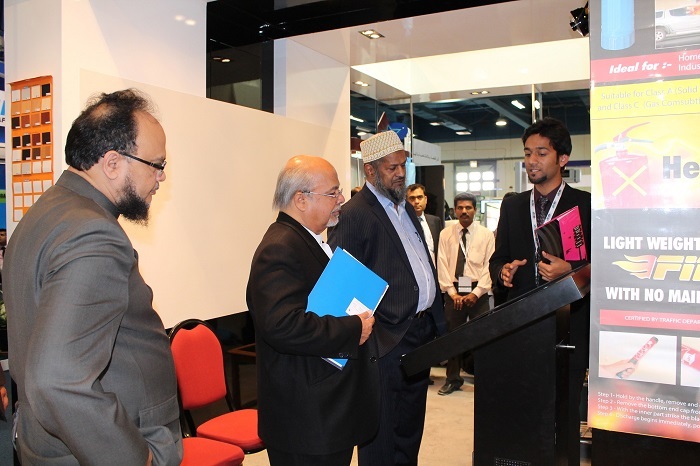 At The BIG Show Muscat, TouchMagix exhibited the various interactive capabilities and made sure they had a never before experience. 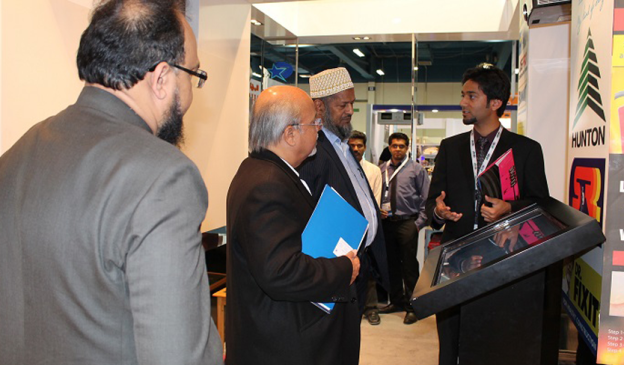 TouchMagix via its partner in Oman exhibited the various interactive capabilities & the display possibilities of the Multi-touch MagixKiosk and gesture based MotionMagix Interactive Wall at The BIG Show Muscat one of the most important events in the Middle East for the building & construction industry. 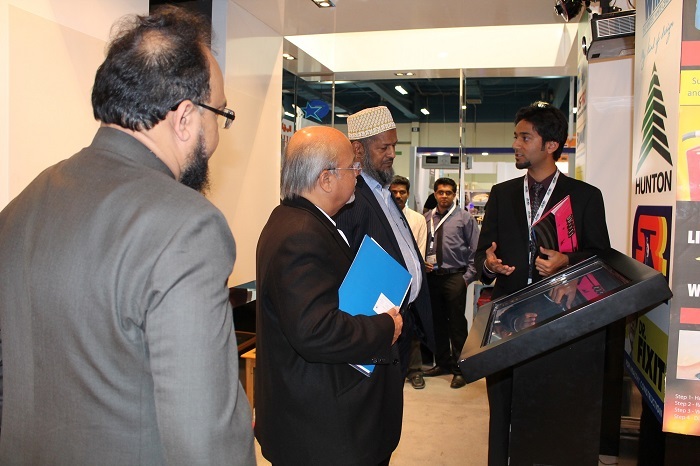 This entry was posted in Corporate and Industrial, Interactive Wall System, MagixKiosk, Real Estate and tagged conference, Exhibition, Expo, interactive wall, MagixKiosk, Middle East, MotionMagix Interactive Wall, Multi-touch MagixKiosk, The BIG Show Muscat, touchmagix on March 20, 2013 by Touchmagix. 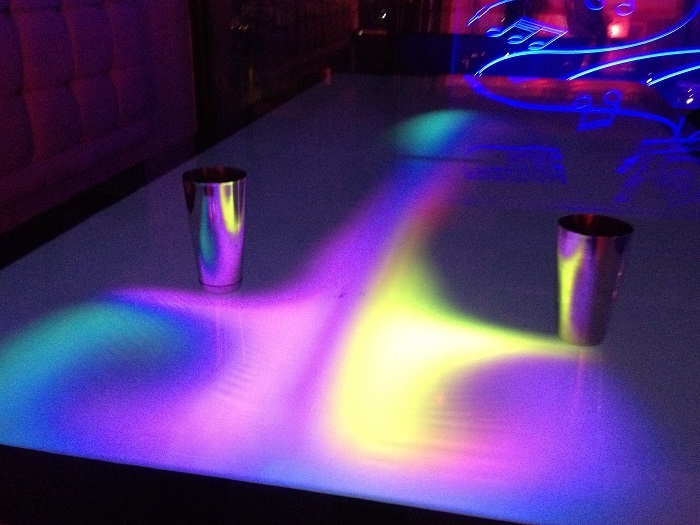 An exclusive 11 feet long interactive MotionMagix table at a branded lounge mesmerized patrons with its exclusive effects. Our partner in Jordan recently installed an exclusive 11 feet long interactive MotionMagix table at one of their clients branded lounge. With exclusive effects to mesmerize the patrons, the lounge bar creates a unique experience for visitors to engage with the brand. 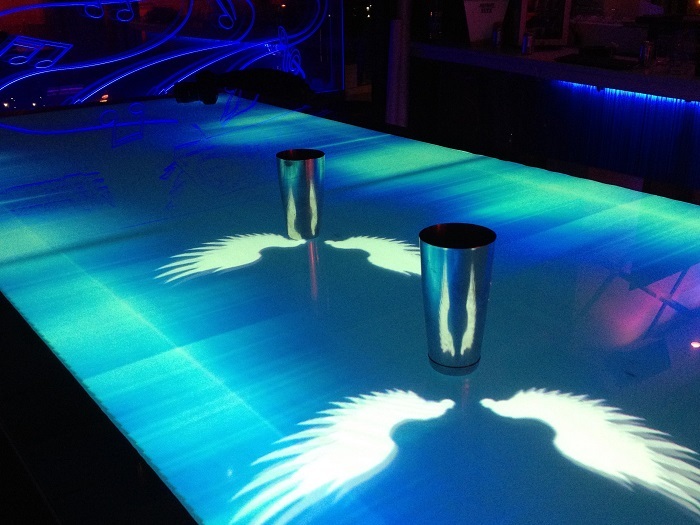 This entry was posted in Consumer and Retail, Entertainment, Hospitality, Hotels and Bars, Restaurants and tagged Bar, Interactive Bar, interactive floor, International, Lounge, Lounge Bar, Middle East, Motion Magix, MotionMagix Table, touchmagix on December 10, 2012 by Touchmagix. 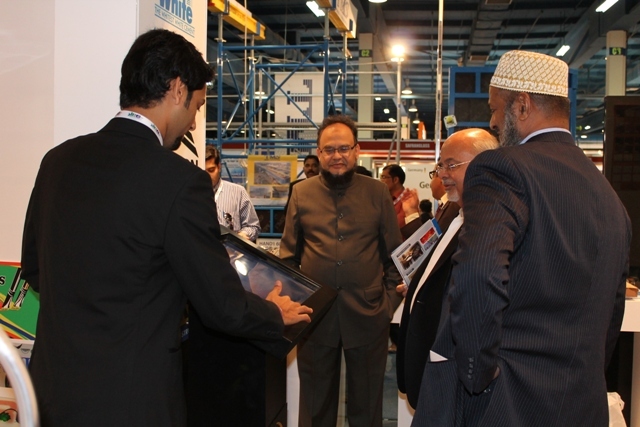 An innovative interactive experience where the client showcased videos, pictures, corporate PDF’s in an elegant manner. 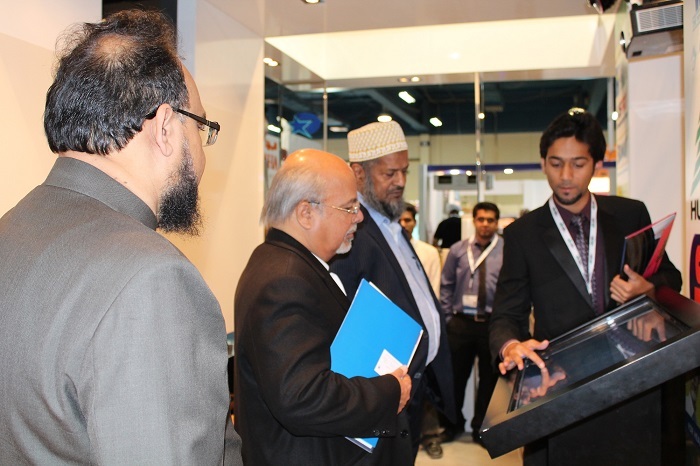 Our partner in Dubai showcased an innovative interactive experience for one of the Leading Banks in the Middle East. By choosing MagixTouch 46″ multi-touch solution, with easily customizable application, the client could showcase videos, pictures, Corporate PDF’s and its ongoing programs in an elegant and captivating manner. 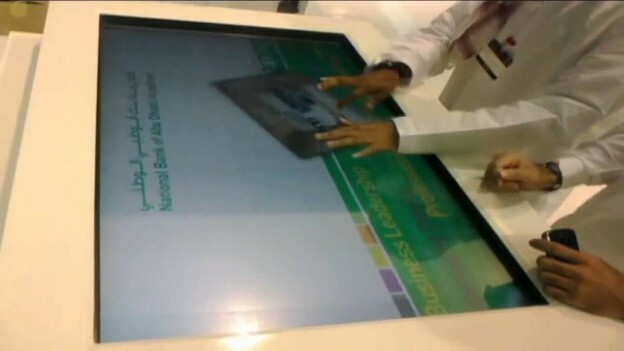 This entry was posted in Banking, Government and tagged Dubai, Middle East, multi-touch, multi-touch solution, National Bank of Abu Dhabi, NBAD, touchmagix, touchscreen, WOW Effect on April 16, 2011 by Touchmagix.